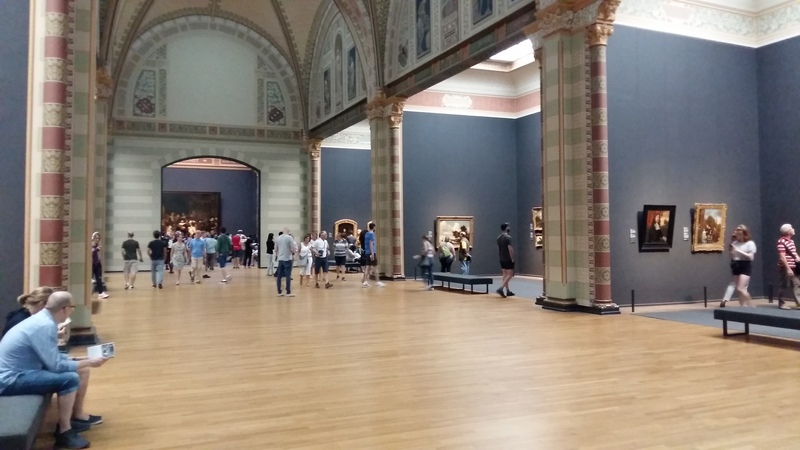 One of our favourite art historians recently made a programme for the BBC about the refurbishment of this national museum in Amsterdam. 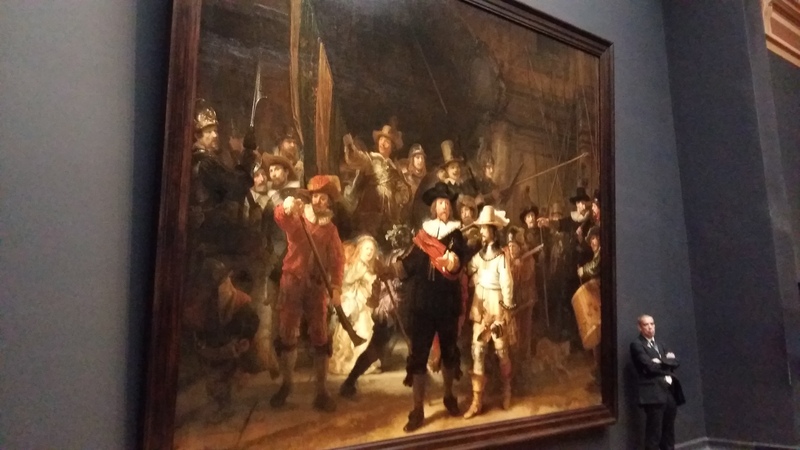 It was – and still is – home to the Dutch nation’s treasures, including its Rembrandt paintings, most especially The Night Watch (left) which is itself watched over by two museum bouncers, just in case. The museum was first opened in 1885. It was apparently a controversial building. 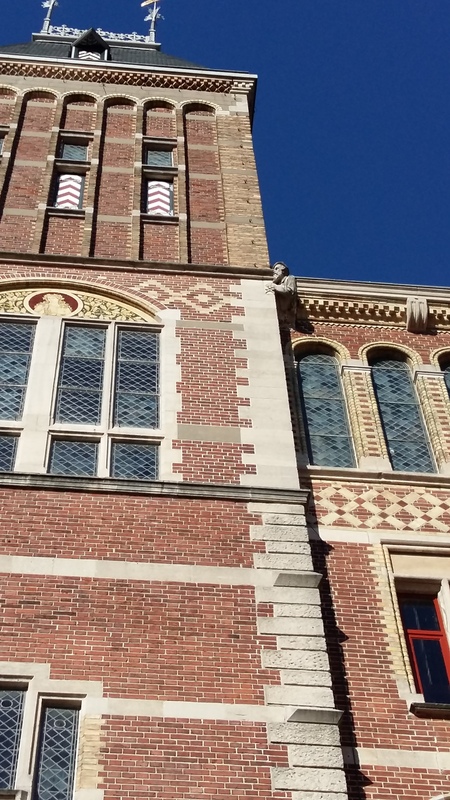 The architect, Pierre Cuypers, a catholic, created a very catholic building for a staunchly protestant city. And Cuypers knew this. So much so that he sculptured himself into the building looking very sheepish, as well he might (right). 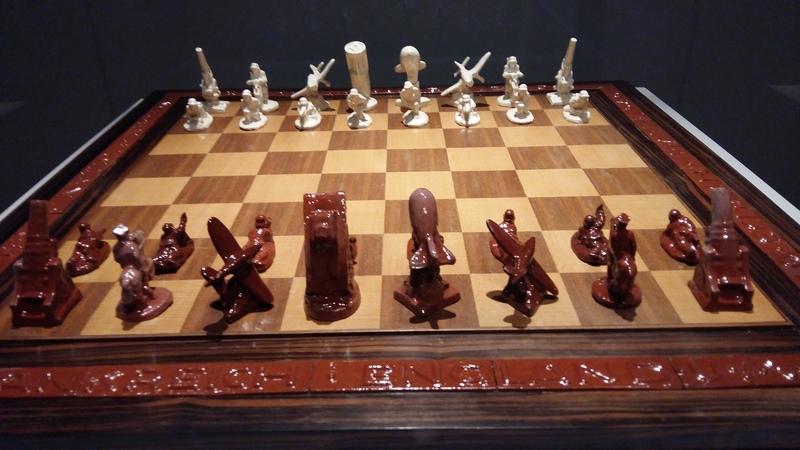 The museum’s transformation from staid national museum (seemingly stuffed animals and dull artefacts), to compelling home of the nation’s treasures took much longer than anticipated. If I understand the story correct, the architects plans (Spanish practice Cruz and Ortiz) involved closing off the cycle route literally through the centre of museum. This did not go down very well; reconfiguring the designs in order to retain the cycle route took some time. That said, there was also a small matter of asbestos that extended the task from 3 to 10 years. We started on the 3rd floor with the 20th Century. These floors celebrate Dutch water engineering (the Dutch made a lot of contemporaneous films of the building of their phenomenal water projects); innovative architecture such as Rietveld’s model orphanage housing project in Bergeijk Le Courbusier’s 1958 Philips World Fair Pavilion (model of); mischievous art in Ferdi’s Wombtomb; design such as the fusion of Mondrian’s geometric art with Yves Saint Laurent’s couture (right); and most sinister of all, a Nazi chess set (the Nazis were white, naturally. Their weapons were bigger and more up-to-date). 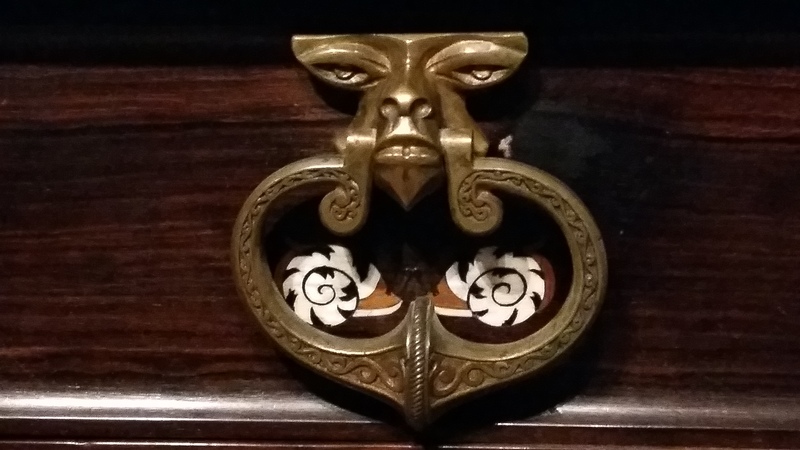 Other wonderful artefacts include Lion Cachet’s substantial 1902 sideboard with handles suspended from monkey heads (right); Petronella Dunois‘ intricate dolls houses c1676; Sam Schellink‘s finely-decorated porcelain c1900; and spectacularly, Frits Koolhoven’s FK23 Bantam fighter from 1918 (left). 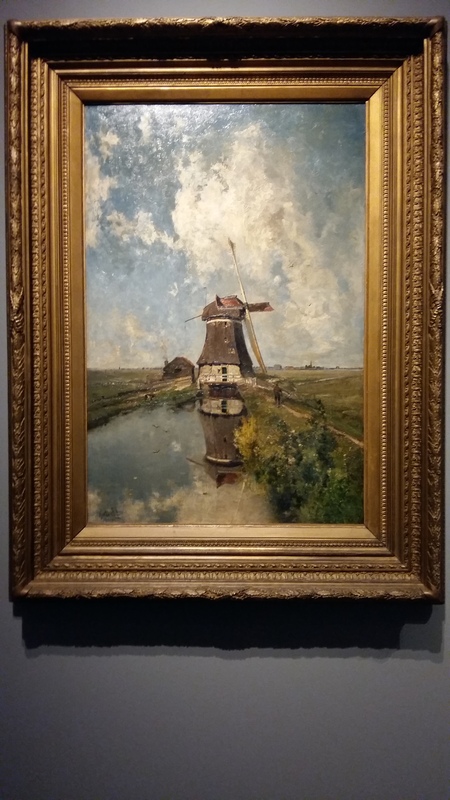 In terms of art, the museum tracks both the careers of Dutch masters and the significance of their work in telling the story of the country. For example, in much of Europe in the 17th Century, artists were employed by the Church or wealthy families (think Medici in Florence). The Netherlands is a relatively new country reclaimed from the sea. 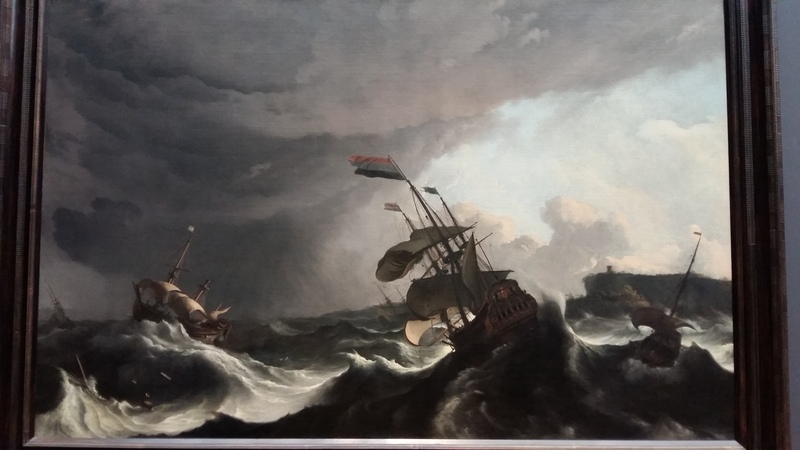 It is also a maritime country built on heroic trade (Rudolf Bakhuysen’s Warships in Heavy Storm, right, is not untypical). The wealth was in the hands of a merchant class who, not surprisingly, enjoyed their images being reproduced on canvas. The landscape features, too. Joseph Constantin Gabriël’s, The Month of July (left), is illustrative of the genre. We were also delighted to find Thérèse Schwartze’s Portrait of Lizzy Ansigh, a fellow painter in the female group of artists known as the Amesterdamse Joffers. This is at least a recognition that females were active in this period without in any way over-representing their work. 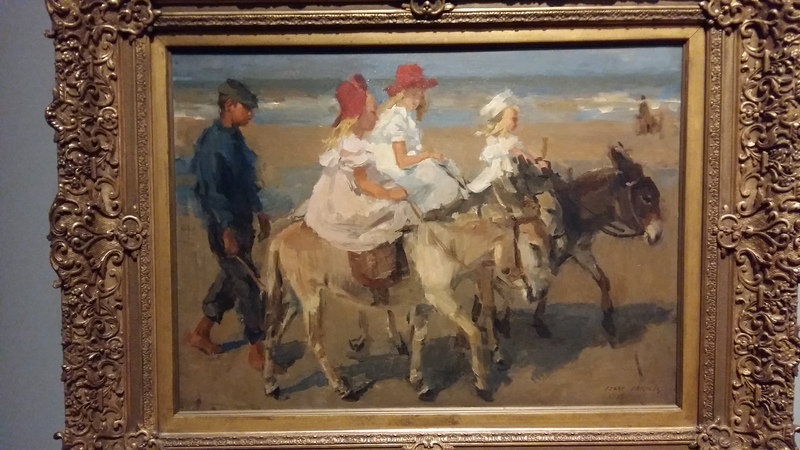 Finally there is recognition of particular schools of painters – the Hague School (1840s), with its emphasis on the lives of ordinary folk and the Amsterdam impressionists of which Isaac Israel’s Donkey riding on the Beach (right) is a fine example. 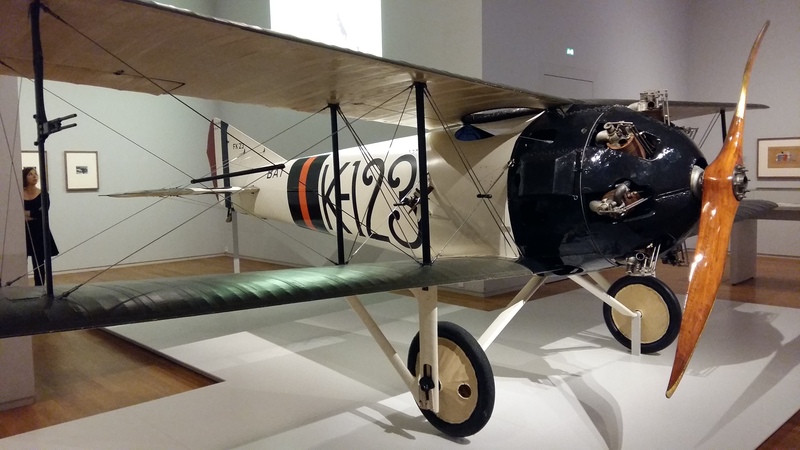 Van Gogh is there, but if readers want to see his work, the adjacent Van Gogh museum is the place to go. It too is a special place, but much much busier. 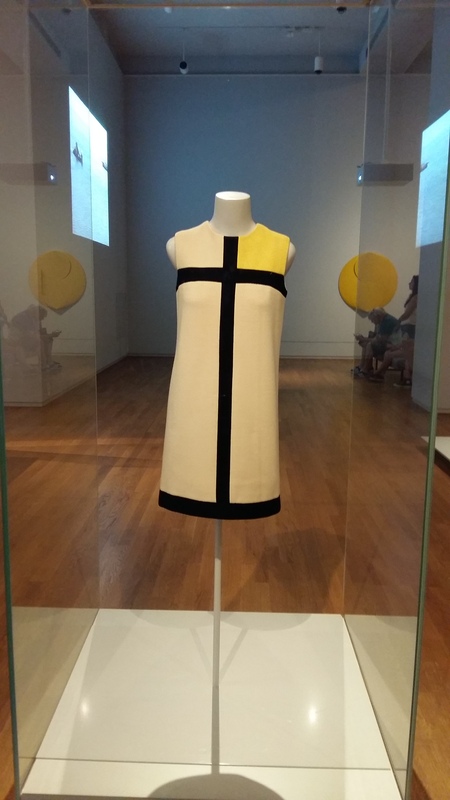 Along with the reconfiguring of the physical museum, the curators also produced an excellent app for iPhone and Android. It saves hiring an audio guide; and if your mobile runs out of fuel, there are free fuelling stations. The perennial for independent travellers is where to store luggage when passing through cities. And how does it work? 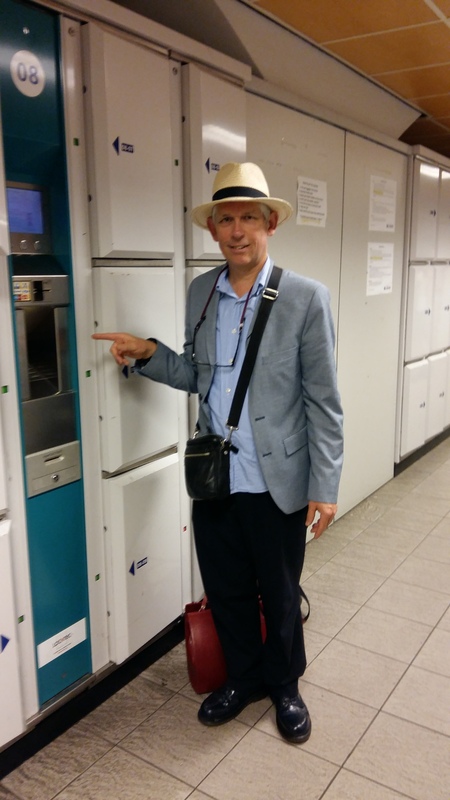 Amsterdam Centraal Station does it by locker. There are about 1000 of them located near to platform 2. Essentially, go to the main concourse, face the departure board and then turn right. Cash is not welcome. You have to pay by card. There are two sizes. The large locker is big enough for two medium-sized cases and costs 10 Euros (right). The smaller costs 7 Euros. Put your luggage in. Close the door. 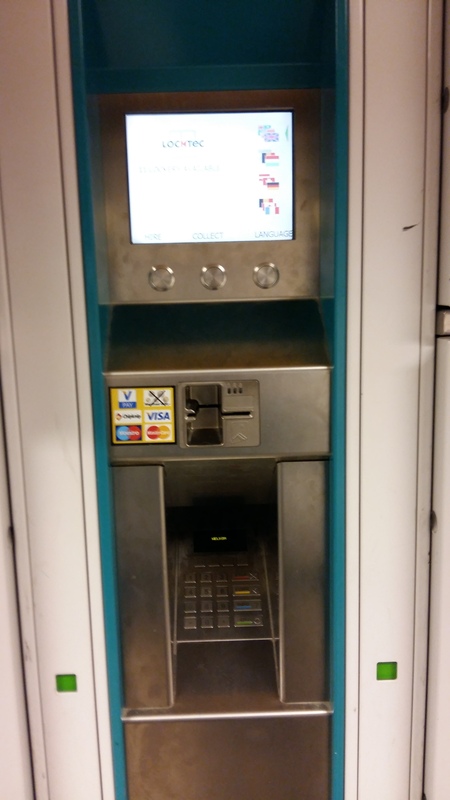 Insert your card, follow instructions and wait for a paper key to be dispensed (left). The maximum storage time is 72 hours.